It’s been a few days since I put any type of update on the sites, this is due to a number of different reasons. 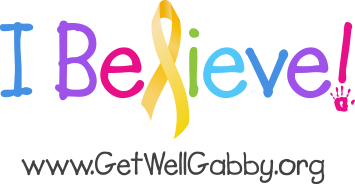 Everything from reading a bad article on her diagnosis to just wanting to spend every waking minute with Gabby as well as watching her sleep. I’ve always used a certain phrase to end conversations, “It is what it is”. Over the last few days I have been trying to convince myself that the saying I’ve used for years is wrong. There is so much more to IT. If we just said “ It is what it is” when it came to Gabby’s diagnosis, it would be unthinkable. We wake up everyday saying it isn’t what it is. It will be a miracle, she will prove them wrong, she is different, she will shine. I WILL get to walk her down the aisle at her wedding, give her away, and dance to “ the way you look tonight” during our father daughter dance. I’m sure I have driven everyone crazy asking and telling them that she will be fine, the doctors are wrong. My sister in law was here recently and asked if I ever have doubt. I think I talked about that a few blogs ago. When you sit here and listen to the doctors talk about her diagnosis, it’s hard not to. But those doubts are for a split second before I catch myself and basically loathe myself for thinking them. I ask myself how did that happen, how could you think that? BELIEVE!! Never doubt, never question if she will be embarrassed by me ten years down the road when I’m still excited about the latest superhero movie coming out or wearing a Captain America shirt to drop her off at school. Gabby, she’s a princess, she’s stubborn, she’s kind, she gives great big hugs, and can squeeze the breath out of you. She is also one of three daughters. I have always pictured living in a neighborhood where my main job is to protect my three blonde daughters from all the boys. I once was a teenage boy and I know how I thought. A house with three blonde teenage girls would be like a glaring neon light!! I’ve had nightmares about the possibilities of the girls sneaking out to meet boys. As a teenager, I would take it upon myself to convince girls sneaking out was the “cool” thing to do. I fear the day when a boy like me comes to my doorway and asks to take any of my three little girls out on a date. No matter how old they may get, they will always be my three little girls. They will always need me to take their toys out of the boxes on Christmas, they will always be the three little girls that scream “DAD” when they see a bug in their room, and I will always be the Dad that’s there to open those boxes and squish those bugs. 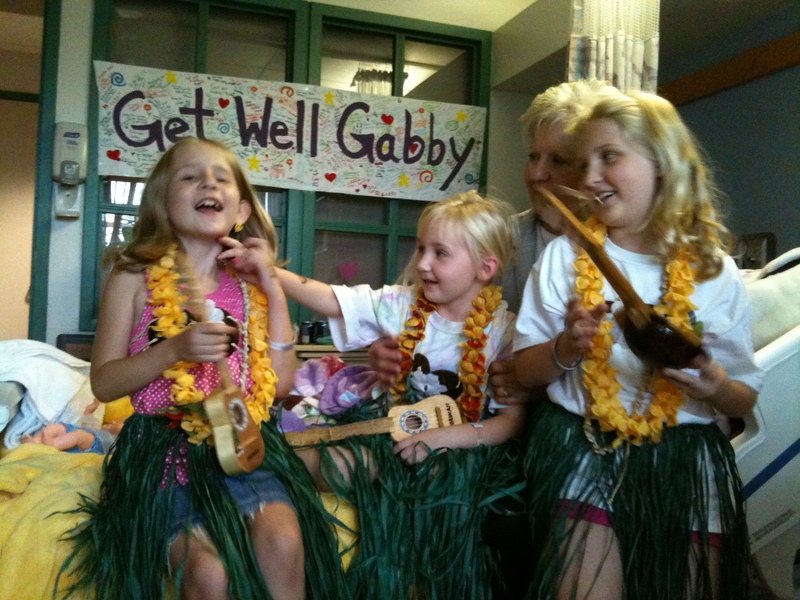 Before Gabby was diagnosed there was a certain dynamic between the sisters. Maddie and Katie stuck together because they were “older”. Gabby was left out of a lot of things by them because she was the “baby”. Looking back on it now I wish I would have done more to force them to play with and include her. Now don’t get me wrong they loved their little sister they were just “more grown up”. Gabby did her best to act “grown up”, she didn’t want to watch Blues Clues or Sesame Street because “that’s for babies” according to her. She would watch her sisters shows for fear of being labeled a baby by either Maddie or Katie. No matter what she looks up to them, and wants to be just like them. But no matter how old she tried to act, every time we look at her she is our little baby. The one who will continue to do the same silly thing over and over if she managed to get a laugh from one of the sisters. On the other hand she wouldn’t shy away from letting them know how she felt when they upset her. A few weeks ago I took Madison and Katie to the Camden Aquarium, to once again give them a feeling of “normalcy”. However there was nothing normal about this trip. As long as I can remember every photo I have taken has all three of them in it or around when the picture was taken. I basically had to hide tears every time I took a picture of Madison posing alongside Katie next to anything. Because it wasn’t natural. Where was Gabby in this? She needed to be in every picture, she needed to be screaming “look at me big sisters, I’m cool like you!!!! But she wasn’t there. When Katie was getting a picture next to a seal, Gabby was laying in bed on the third floor not saying a word. When we were walking around the souvenir shop, we were only looking for Katie and Madison because Gabby wasn’t there. As I sit on the 8th floor of the Main building waiting for our laundry to be finished, I realize how fractured our life has become. I’m here, Carolynn and Gabby are in another part of the hospital, and Katie and Maddie are on their way back to their grandparents. I can’t fathom those three girls not being together every minute of everyday. The few times I went home I would look in Gabby and Katie’s room they have bunk beds. Neither have been slept in for quite some time. But there were a few days when Katie slept in there without Gabby. I couldn’t stop crying when I looked at the empty bottom bunk. Katie plastered her room with pictures of Gabby. Which brings me to another reason there is no other choice but to BELIEVE. These three girls need each other, together they are strong, divided they show their weaknesses. Katie has always been a tough little girl, lately she is lashing out at Madison saying mean things just to cause some type of reaction. Madison cries at the drop of a hat. The big sisters have realized that they need their little sister back home. I started writing this at about 1:30 this afternoon. We were getting ready to get Gabby to PT at 2:00. Carolynn ran her hand through Gabby’s golden hair and came away with a small handful of hairs. I looked at her, looked at her hand, and looked at Gabby’s beautiful head. Carolynn’s eyes started to swell up as did mine. We were told there was a 50-50 chance she would lose her hair. Now we don’t know if she will lose it all or just the spots that are being radiated. I realize it’s just hair and hopefully it will all grow back but how do you tell this princess soon she might not have hair. I took her to PT as Carolynn ran down to fill the many prescriptions we need for her. As I held her during physical therapy I hid behind her and cried as I saw hair on her back and on my shirt. If we needed another dose of “wake up this is real” we got it today. Things that made her laugh or were silly over the past few days. A long lost relative from Hawaii showed up and brought , grass skirts, coconut bras, leis and ukuleles, she laughed as Carolynn and her sisters put on a show while wearing them. One of Gabbys teachers sent her some sand and shells from the beach in the package was a big shell with a note that said listen and hear the ocean. She put the shell up to her ear, looked confused so I started to make ocean sounds , she looked at me smiled and laughed. 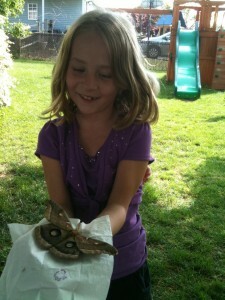 In OT she painted a stain glass butterfly , said it was for her sister Katie who found a moth and named it Charlie. The girls were upset that Charlie had to be let go. Gabby proceeded to tell us and two therapists that Charlie peed a lot in his cage. The beautiful thing was she remembered and had a pretty long conversation about it. She likes to cheat at every single game we play together in OT. After the hair situation, Katie and Maddie arrived. I took them outside and sat them down, explained what might happen to Gabby’s hair. The first words out of Katie’s mouth were, “ It doesn’t matter she is so cute and beautiful”. Maddie agreed and said if it will make Gabby feel better she will find her a wig that looks exactly like her hair so no one will notice. Over the past few years at times they left her out of everything they were doing, now they are doing everything in their power to make sure she is accepted by all. Like Katie said it doesn’t matter if Gabby has hair, it doesn’t matter that she has a port, or may need a walker for a few months. All that matters is that when we look at her we see what she is, the cute, beautiful little girl who needs to be in every picture I take with her sisters, who always makes sure to get a lollipop for her sisters when we go to the dry cleaners, who needs to be there sitting in the van on the next road trip with her sisters. All that matters is that she is here and the world is a much better place for it and I am a much better person because of her.